The industry is growing extremely fast but not too fast for you to jump in. 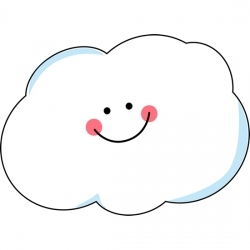 Now is the time that we should seriously consider getting your head into the cloud. Especially when it comes to digital signage. For some of us, technology is moving way to fast and it’s comfortable to stick to what we know. “If it isn’t broke, not fix it, right? For others, technology is exciting, energizing and a way to stay ahead of the competition and generate new customers and sales. Well, whether we like it or not, the future is now and that’s a fact we must embrace. The past few years has proven that digital technology has become part of our everyday lives. For example, customers of all ages are using their mobile devices to do just about everything...get social, research products, find what they’re looking for, get directions and get entertained. Virtual reality headsets for gaming are now mainstream, computer driven drones are everywhere flying above our heads and will soon be delivering packages to our doorsteps and digital marketing is making an important impact as part of a strategic marketing plan. It’s true. That’s why digital signage is making its mark right now. Impress your customers, and colleagues alike by adding digital signage to your marketing plans. Digital signage is available in a variety of shapes and sizes. You can get in at many different levels, but you don’t have to do it all on your own. We are here to help you set the foundation for a successful digital sign program. You’ll be amazed at how easy it is to implement with the right hardware and software that will grow as you do. And you'll be amazed at how much fun you will have sharing your message through digital signage, not to mention the results. Digital signage is real-time marketing. Yes, print will always hold a special place in our marketing hearts, but in this ever world, our message needs to change with it. Digital signage software allows you not to just create beautifully designed messages, it allows you to do it right when you want to. Message changes are right at your fingertips. No more waiting for the printed piece to arrive and hoping it’s correct. 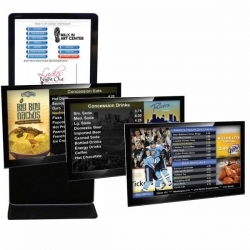 Digital signage software is flexible, adaptable and eye catching. The best digital displays share information about your company, your services, offers, and promotions. Digital signage creates urgency and assists your customers even when they don’t expect it. Now that’s a marketers' dream. Content marketing is all about positioning yourself as an expert in your industry and engaging them. The more content you share, your customers will share with their friends. The results are amazing. There is a community of like minded people enjoying and learning about your brand. Digital signage can help you achieve this. A community is a group of people that come together by sharing something they have in common…a good book, mail box a movie, a social movement or even a product…your product. Social media is a great example. You post information about a new product, event or meeting. You write informational blogs and post them to send visitors to your website, you post events to generate attendance. The purpose is so the message will get organic shares and hopefully reach hundreds, if not thousands of people. Social media connects with your customers, just like telemarketing, email marketing and word of mouth marketing. These strategies are so much more effective than a sign on a bulletin board, a flyer in a mailbox, or an ad in the newspaper because it's interactive. Digital marketing will take that momentum to the next level in engaging current and prospective customers. It’s a win, win. One of the best things about digital signage is that you can fit it into your marketing and advertising budget. It’s up to you what hardware investment you want to make. And it is an investment that you will see grow your business. Like we mentioned above, the software is where all the creative magic happens. 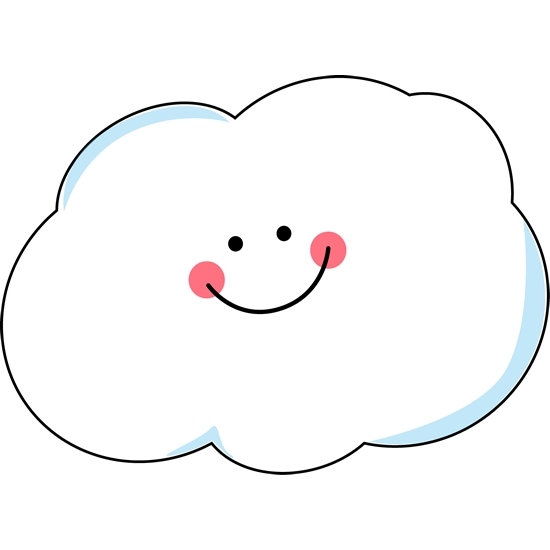 And a free cloud-based digital signage system allows you to be more creative than ever before. 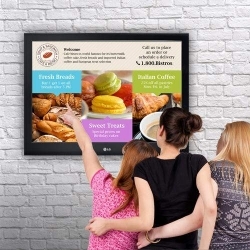 Let us show you some ways companies just like you are enjoying success with digital signage. The whole company can benefit from your digital sign program. Yes the IT department will be instrumental in getting the ball rolling but there are other departments that can have a positive impact, too. Marketing and Public Relations Reps, the sales team, Social Media and website managers will all enjoy collaborating on digital sign content. There is a whole world of messages that can be relayed digitally and that includes those right inside your office. Cloud-based digital signage will also ensure your social media presence is displayed and advertised right on your digital sign! Now, if you are a small business and wear many of the hats listed above, a digital sign will make your life so much easier and your job much more productive. Let us show you how. A digital sign is eye catching. Your eye is drawn to it, unlike a poster on a bulletin board that is probably surrounded by hundreds of other posters. Digital signage created with free software will draw and hold your current and potential customer’s attention. And it's easier to control than print. Select your own television monitor to broadcast your message. Hallways, waiting rooms, deli counters, hotel lobbies, and everywhere there is people moving around. Customers are different than they were a few years ago. They want to be entertained and sold at the same time. They want to hear stories, reviews, testimonials and other engaging material. So why not give them what they want? Customize and tell your story through digital signage and open the door to a world of content marketing and sales you’ve always dreamed of. Contact us today and we'll share some stories of companies just like yours who are using digital signage successfully.